Outdoor TV dust cover constructed with weatherproof 4-ply polypropylene UV protection fabric. Includes Velcro straps at the bottom for a secure fit. 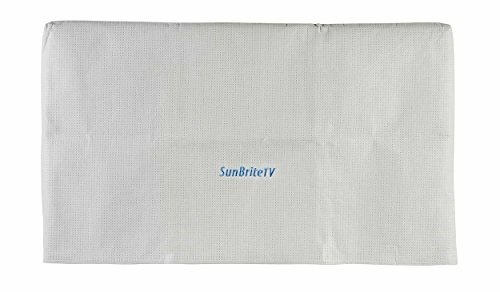 Protects the SunBriteTV outdoor TV screen from scratches when the TV is not in use. If you have any questions about this product by SunbriteTV, contact us by completing and submitting the form below. If you are looking for a specif part number, please include it with your message.